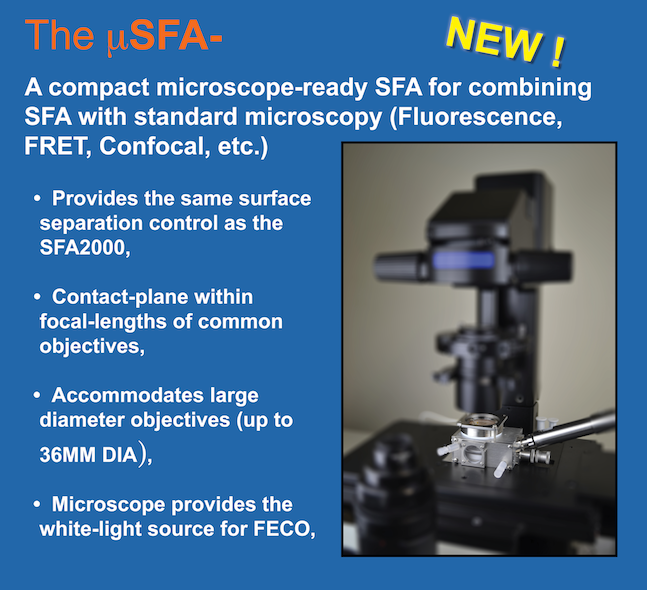 The μSFA is a new, compact, microscope-ready SFA for measuring the normal forces between surfaces and other interfacial phenomena. The μSFA is shown here in an Olympus inverted microscope. Just as with the SFA 2000, the μSFA is designed to be used with the FECO (Fringes of Equal Chromatic Order) multiple-beam interferometry technique to measure forces between two surfaces with a sensitivity of a few nN and a distance resolution of 1Å (0.1 nm). 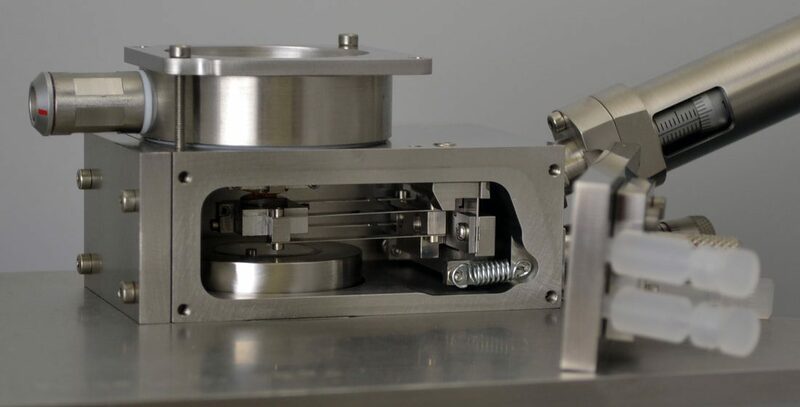 Surface separation is controlled using four different distance control mechanisms: coarse micrometer, medium micrometer, fine micrometer and extra-fine (piezoelectric tube) control. Unique to the μSFA, the FECO white-light source is provided by the microscope itself. The shapes of the interacting surfaces and the separation between them are measured by analyzing the optical interference fringes (FECO fringes) produced when white light passes through the two surfaces. The compact chamber accommodates typical short focal length, large diameter, objectives needed for fluorescence, confocal and other common high magnification microscopy techniques. 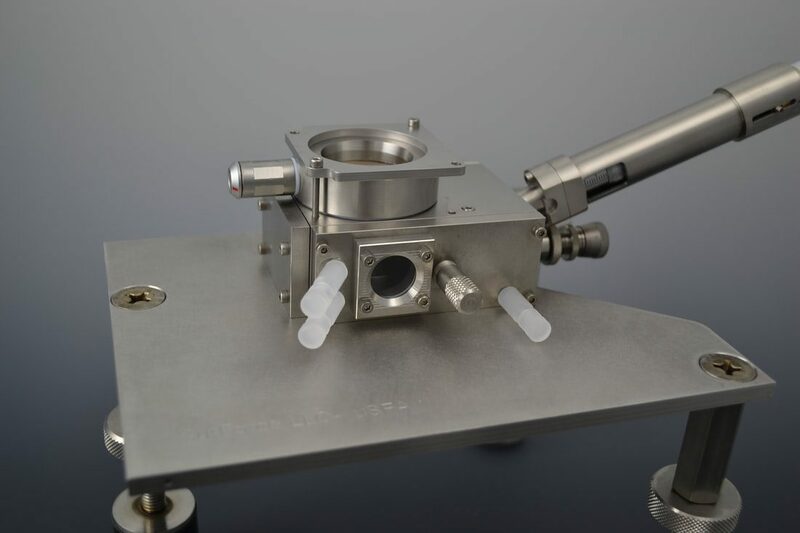 The μSFA also accepts the same dove-tail disks as available in the SFA 2000 for the transfer of surfactant / lipid bilayer, polymer- or protein-coated surfaces into the apparatus without exposure to air. Note: Embedded Links in PDF file do not work in MacOS Preview- use Adobe instead.